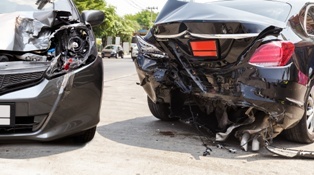 What are my options if the car accident settlement offered by my insurer isn’t enough? Many victims are tempted to accept low settlement offers in order to get payment for their crash expenses as soon as possible. However, you should be careful about accepting a settlement if your injury has not yet stabilized or you are unable to go back to work. Once you accept a settlement payment from an insurer, you cannot ask for more money later—even if you are unable to earn a living or are permanently disabled. Reject the offer. Insurance companies will rarely provide everything you need in their initial settlement offer. You can choose not to accept in order to begin negotiations, or until you know the full extent of your injuries. Negotiate. Insurers have years of experience reducing the amount of claims, while victims will have to gather medical records, repair bills, pay stubs for lost income, and other evidence to prove their losses. If you plan on making a counteroffer to an insurer, it is best to have an attorney perform negotiations on your behalf for the best possible chance to get what you need. File a lawsuit. If the insurer refuses to provide adequate payment, you may have to take the matter to court. You can continue to negotiate with the insurer as your lawsuit progresses, and may even seek additional compensation for pain and suffering or emotional distress. Our car accident lawyers have offices in Illinois and Missouri, helping victims understand the injury laws that apply to their case and maximizing the amount of available compensation. Contact the Tapella & Eberspacher Law Firm via our online contact form to schedule an appointment.